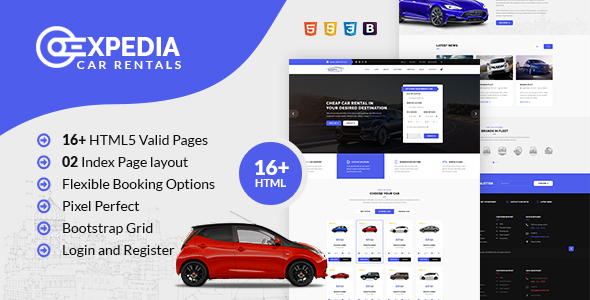 Xpedia – Car Rental HTML Template is a beautiful pack of HTML files which will help you to create unique and modern car rental website. All layers are properly organized, so it takes you a moment to find the necessary layer and edit it. 16 HTML files included in Xpedia Car Rental Version 1.0.0 – The design is very elegant and modern. Also this will be very easy to customize.